According to a recent news feature from the News Star, a couple has been arrested and charged with possession of methamphetamine and testosterone. Authorities say the arrest was the result of a routine traffic stop that yielded probable cause to search the couple’s home where additional contraband was found. Law enforcement personnel say they allegedly saw the driver of vehicle make an illegal maneuver and effectuated a traffic stop. Once they approached the car, they say they detected an odor of burnt marijuana and also saw that the couple had an infant in the vehicle. At this point, officers ask for consent to search the vehicle, and, when they did, they reported finding fairly large quantities of meth, as well as syringe containing what suspects allegedly admitted to be testosterone. When they searched the suspects’ home, they reported finding more marijuana, methamphetamine, syringes and other contraband. They interrogated both suspects separately, which is the common practice, and the female suspect allegedly admitted that the marijuana and meth was hers, and the male suspect said the testosterone was his, as was some of the meth. They were charged with various counts of possession of controlled substances and held on bond. They had not been able to make bond as of this time and are still in the county detention facility. It should be noted that the couple has not been convicted of any crime in connection with this recent arrest, as these are merely allegations. They are presumed innocent unless and until they are found guilty in a court of law by a judge or jury beyond a reasonable doubt. While it is common to see people arrested for possession of methamphetamine, testosterone possession arrests are less common. 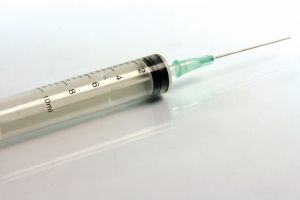 One reason is that it is fairly easy to get testosterone replacement therapy (TRT) in many cases, even if there is no medical need to take the drugs. As you have likely seen during any sporting event on television, the drug companies are pushing testosterone replacement therapy drugs to any man who experienced what they consider the symptoms of low testosterone levels, but what doctors think are the normal signs of male aging. These symptoms include weight gain, loss of libido, loss of muscle tone, mild depression, and many other normal things that happen as men get older. Doctors do not even know if taking testosterone hormone will actually help stop or even reverse any of these symptoms, but what they do know is that taking testosterone therapy hormone can lead to heart disease and stroke. As our Boston testosterone injury lawyers can explain, this use of the hormone has not even been approved by the United States Food and Drug Administration (FDA). Patients are being given testosterone replacement drugs without even having an examination by a doctor in many cases or even a blood test to confirm the patient’s testosterone levels. While many doctors are hesitant to give patients testosterone replacement hormone, patients are going to what are known as T Clinics that have sprung up across the country and getting the medication.